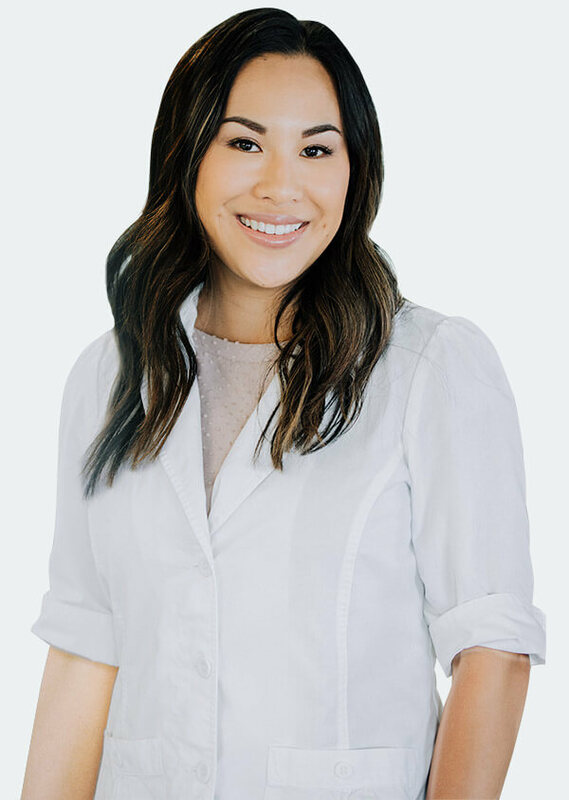 Dr. Elaine Chow is a passionate & experienced dentist, and the owner of Oasis Dental. Upon graduating from St. Patrick’s High School in Thunder Bay, Dr. Chow chose to study at the University of Manitoba where she completed her undergraduate studies and received her Doctorate of Dental Medicine. Upon graduation in 2005, she set her sights on building her career through working in large centres such as the Greater Toronto Area. Having family ties in Thunder Bay, and wishing to bring exceptional dental care to her hometown, Dr. Chow saw an opportunity to return home to create her own dental practice in 2009. Three years later, through hard work and dedication,our Thunder Bay dentist transformed a former church into an expansive, modern dental clinic that employs 17 people and assists hundreds of families in Northwestern Ontario. Today, Dr. Chow is a strong advocate for education and the pursuit of excellence. She strongly believes in the continual investment towards innovative technology and state of the art dental care. Elaine and her team travel extensively to stay educated and on top of the latest techniques in dental health. In addition to looking after her own patients, our Thunder Bay dentist thrives on giving back to the community. A former competitive diver, Dr. Chow believes in supporting various sporting initiatives and promoting the healthy development of children and youth. Why wait? 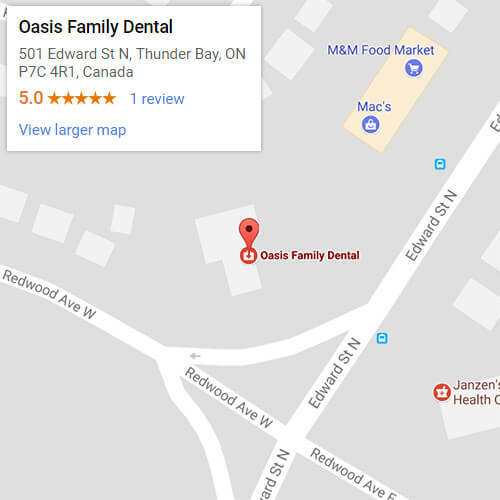 Visit Oasis Family Dental Today!